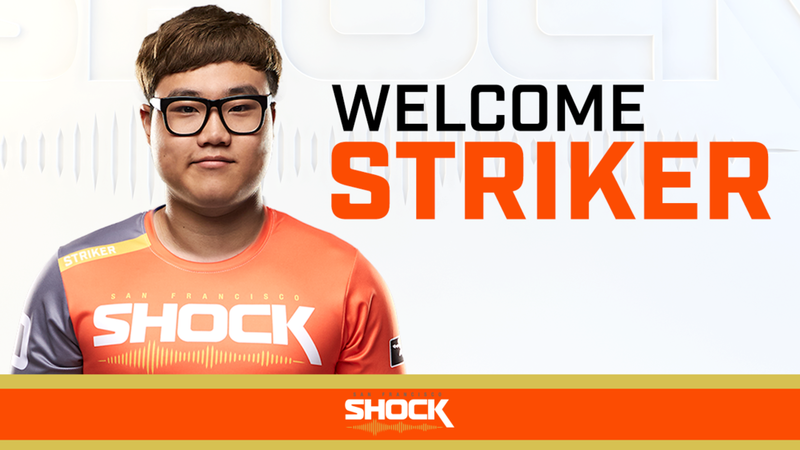 The San Francisco Shock are thrilled to announce the signing of Nam-joo "Striker" Gwon, 19, in a transfer agreement with the Boston Uprising. “Having worked with Striker last season, I am very excited for him to join the roster. He demonstrated excellence on stage during the first season and will be a great addition to the Shock family,” said Shock Head Coach Dae-hee "Crusty" Park.